z 4/8/16 Style B (Class B) Initiating Device Circuits (IDCs). 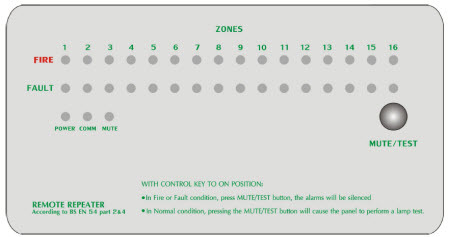 – All zones accept two-wire smoke detectors and any normally-open contact devices. – Zones 1 – 4/8/16 configured as general alarm zones. 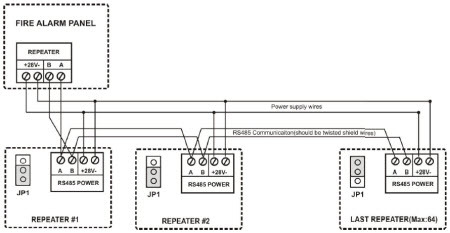 z Two built-in, Style Y (Class B) Notification Appliance (Signal) Circuits (NACs). 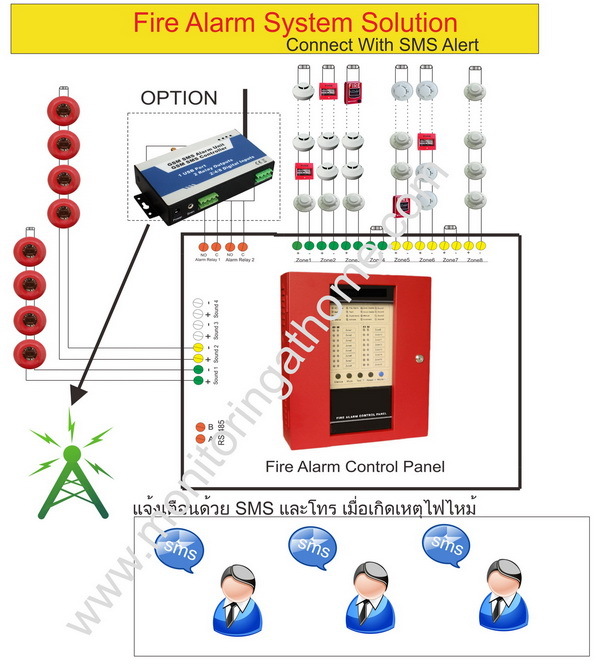 z Alarm, Trouble and Supervisory, Form-C relays standard. z Non-resettable power @ 500 mA. require use of the external battery backbox, or ULC listed equivalent). 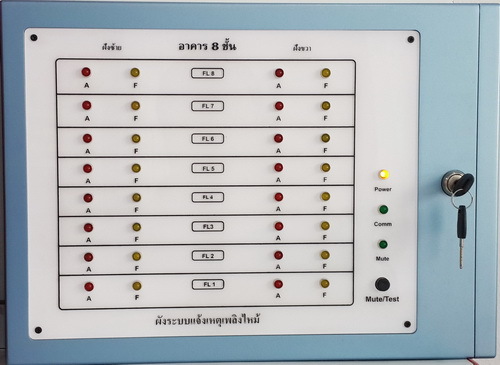 z One-man walk-test programmable for silent or audible test. z Meet UL864, EN-54 standard. AC Power: AC220V±10% 50Hz, 2.0 amps, minimum 14 AWG wire (2.0 mm²) with 600-volt insulation. NOTE: two 4AH batteries can be housed in the cabinet. Larger batteries require a separate battery box. VDC (resistive), 2.0 amps @ 30 VAC (resistive). 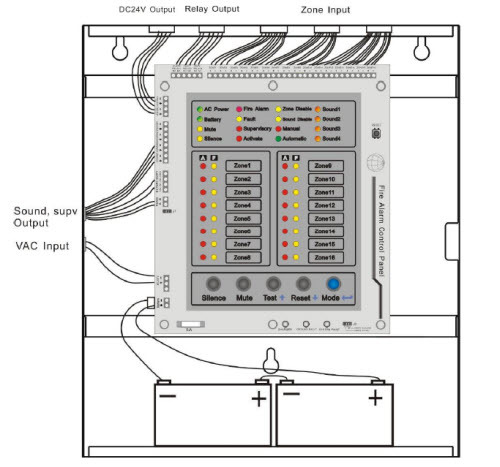 NOTE: Total current for auxiliary power outputs and two NACs must not exceed 3.0 amps.